View More In Privacy Shelters. 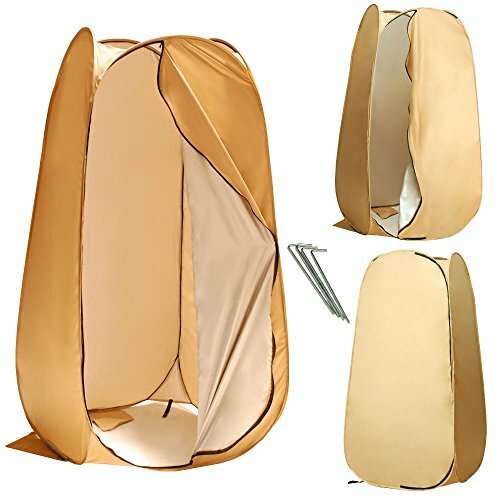 You can use this tent as a changing room for location photoshoots. Also with the open top and bottom could easy be used while camping as a shower or bathroom by adding a luggable-loo or hanging shower bag. This 6' 3" (H) x 2.5'(T) x 3.3'(B) standing unit folds down to fit in 24" storage carry case.